Pinterest CEO Ben Silbermann reassured users that promoted pins won't be "flashy banners or pop-up ads." Pinterest has added several new features this year to improve the user experience. Pinterest CEO Ben Silbermann in an email to users on 19 September said the image-rich social network will experiment by promoting just a handful of pins in search results and category feeds. "For example, a pin for a Darth Vader outfit from a costume shop might be promoted in a search for 'Halloween.' Nobody's paying for anything yet--we want to see how things go, and, more than anything, hear what you think," Silbermann wrote in the email, which was later posted to Pinterest's blog under the heading, "Planning for the Future." In his email, Silbermann said: "I know some of you may be thinking, 'Oh great...here come the banner ads.' But we're determined to not let that happen." The future of Pinterest is profit--at least, that's the goal. 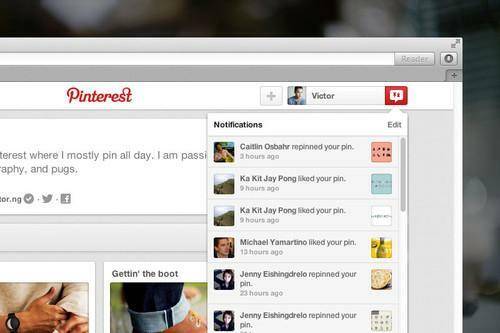 Like other services of its ilk, Pinterest began as a desktop-only social network focused on building users. The company has spent the last year retooling its look, adding new features, and crafting a mobile-first strategy. Pinterest is incredibly popular with retailers, both as a forum for displaying their wares and as a tool for finding out what's popular with shoppers. Silbermann said as much when he spoke at the AllThingsD conference in May. "We think there's a direct link between the things people think, the things people do, and the things they buy," he said. "It's explicit." The three-year-old network now faces the challenge of monetising the images its users find beautiful or inspiring. Promoted pins could be the answer. Silbermann promised pinners that the promotions will be tasteful, transparent, relevant, and "improved based on your feedback." "No flashy banners or pop-up ads," he said. "We'll always let you know if someone paid for what you see, or where you see it." Pinterest hasn't begun testing promoted pins yet, but the rollout starts soon.